Roll down the windows and let the car get some fresh air. Nothing, not even cars, likes being cooped up for too long. Letting it air out will remove that small bit of stagnancy that even the best-ventilated storage units can’t prevent. Test your battery for proper charge, visually inspect for any signs of corrosion, and replace if necessary. Replace and refill all of the important fluids that you drained before putting it into storage. That includes oil, fuel, brake fluid, transmission fluid, power-steering fluid, windshield cleaner, and in some cases antifreeze. Check under the hood as well as the undercarriage for any sign of small animal damage or nesting. When you start the engine for the first time in a long time, let the car run for at least 15 minutes before driving so it can warm up. This helps for two reasons: first, like with anyone who has taken time off of exercise, it needs to “stretch”, and two, because while “stretching”, you’ll be able to see if your engine is having any performance problems (typically caused by faulty components) before you’re on the road. Once your car is started, check for any warning lights on your dashboard. If they show up, address them. Test the brakes. That includes the emergency brake. Don’t worry if they seem a little stiff at first use, that’s normal and will wear away after being used again. Take a drive. Take it slow and stay off highways for the first few miles to make sure that everything is working as it should. Don’t get nervous if there are a few strange sounds when you first get on the road – your car needs to adjust to being used again and most of those sounds are just it getting used to being back on the road. If the strange noises disappear after the first few miles, however, it’s likely time to have a professional check out what’s wrong. Give it a bath. It’s a good car, it deserves it. After that, you should be ready to hit the road. 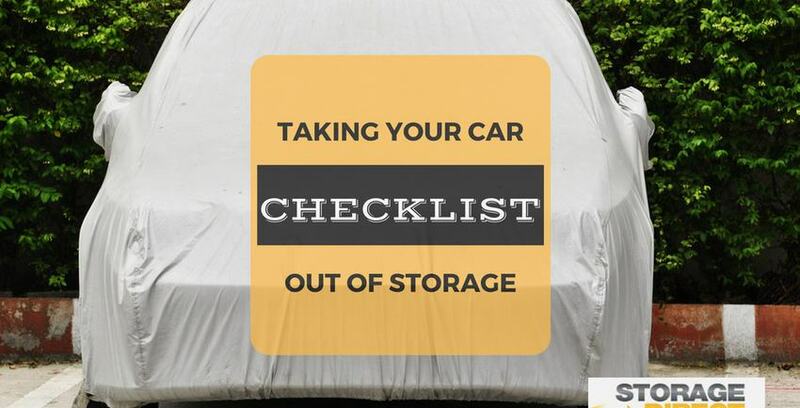 The next time it’s ready to put your baby back in storage for the winter, or any other reason, don’t forget that Storage Direct provides high quality indoor storage units for cars of all sizes.